Every time a new visitor lands on your homepage, the first thing that they see is your web design, the type of typography used, product banners and the overall presentation. When everything combined together provides a positive vibe, you are sure to witness some impressive conversion rates like never before. The entire world now has a digital persona where it’s difficult than ever to impress a visitor. Choosing the best web design company is the first big step you take towards establishing successful digital marketing strategies. With the competition level going sky high, it’s integral to have an extremely passionate and creative team working on your projects. They should be able to think out of the box, understand new web design 2.0 concepts easily and come up with ideas that would impress any visitor from different parts of the world. Finding the website design agency is made easy by going through the number of successful projects they have completed so far. While some companies invest a lot, it’s wise if you shortlist the best within your budget range. Look for the company’s websites, their design, how well they help convert visitors into customers and the unique ideas the team implemented in each new project. 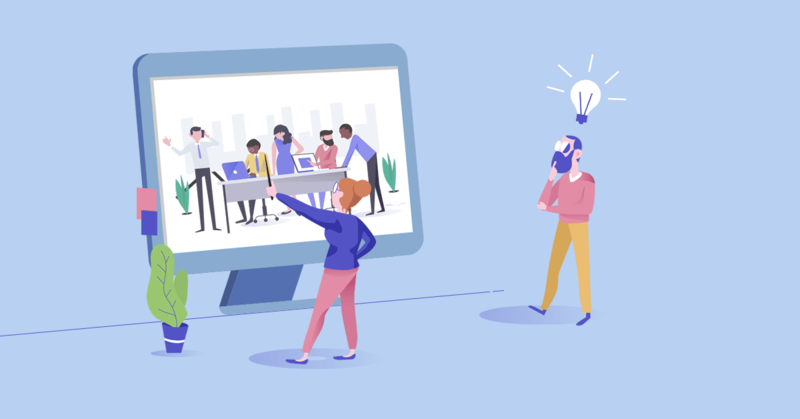 Instead of making a sole decision, you can even consider bringing your team onboard and asking them feedback on websites created by a professional web design company. If a group of members are extremely satisfied with some of the designs, they are definitely good at what they do and it should be wise to hire them. An impressive design combined with ease of usability and access is definitely the key to good web design but at the same time, the content should seamlessly merge with it. Talk to the design team to know what they think about content and how they can help implement it in a non-intrusive manner. They should have a clear idea that creative art is important but so is content! A website’s success is based on balancing and not simply focusing on art. Your company should know it. Being a design-friendly place, the web design company you choose should also have ample knowledge in all technical aspects including content management system, search engine optimisation and should be able to create a responsive design. Creating a website that works and looks the same on all devices is a necessity for seamless visitor experience while prompt SEO and CMS integration is required for the site to operate efficiently. Each industry is different from one another because fashion, retail, e-commerce and IT services are not the same. The website designers can deliver a better output if they have worked with multiple industries and come with unique ideas that could easily cater to a wide range of audience. Designers should be technically aware of how conversion works because not every good-looking website will perform. An intuitive design allowing users to move from one page to another is necessary to ensure conversion. Similarly, designers should be in touch with active web design trends to adopt them quickly before others do and give your business the winning edge. If they can establish a great balance between implementing new designs and creating an intuitive site that’s easy to navigate, they are the best. The web designing team should know things like parallax scrolling, flat or material design, choice of modern colors and be aware what big brands are adopting now. Dezvolta excels in every area and has built a strong customer base through the years, with many successful web design products. We can give your business the winning edge it needs with great design, intuitive UI and responsive websites that perform well on every channel. Looking for the best web design company in Chennai to design and develop your website? Get in touch.